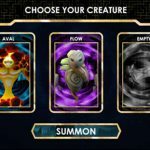 Augmentors is a creature collecting game that uses blockchain technology. 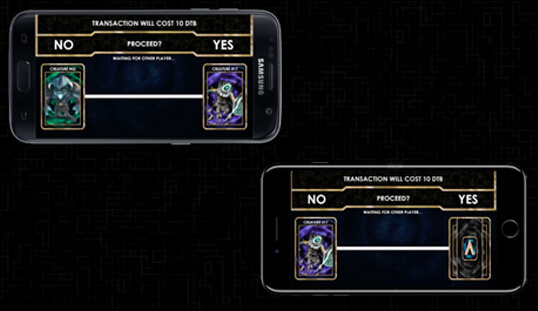 Players have full ownership of the Augmentors they buy or collect in the game. 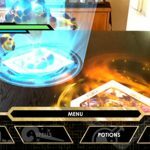 Augmentors is a creature-collecting AR mobile game that makes use of blockchain technology. Thanks to the blockchain tech, you have full ownership of your creatures. The use of blockchain in the game shows the potential of having this feature in Bitcoin casino games in the future. This game will have you collect 50 different types of creatures that you can strengthen and level up. You can also battle against other players’ characters around the world. The focus of the game is the creatures. Your goal is to strengthen your Augmentors by having them go through different battles. You can get one of five different starting creatures when you start the game. You can get more characters s by buying them through the in-game store, trading them with other players, or by obtaining them in special events. To initiate a battle, you will need to print out two augmented reality portals. These two printouts will make the battling Augmentors appear in the real world. To start a battle, simply tap on the printouts through your mobile device. 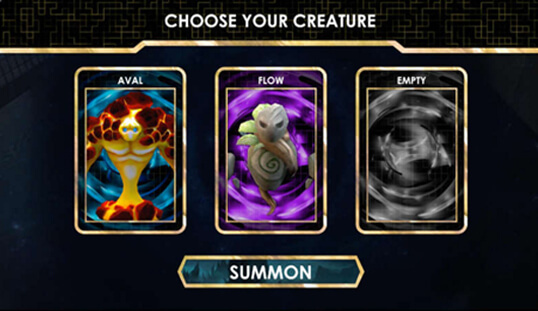 This will give you the option to select your creatures. Once you have your characters out, your opponent will appear on the other printout portal. The battles in this game are similar to a turn-based RPG system. The goal is to bring down the opponent’s life points or life bar at the top before the enemy can bring down yours. In each turn, you have four different options. The interesting component of Augmentors is its use of the blockchain technology. Unlike other creature-collecting games, you have full ownership of all in-game assets. This includes the Databits currency that the game uses and the Augmentors. Augmentors and Relics have a unique Counterparty Token ID and there is a limited amount of these in-game assets. The trading of these is transparent and public. Since you have full ownership of all in-game assets, you can trade or sell these items outside of the game. The assets can even work in a different game. 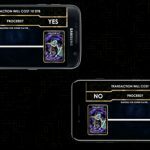 A similar blockchain-powered game called Spells of Genesis may make use of these items in its own game. 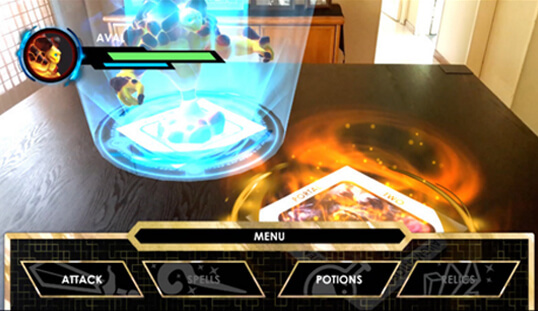 Spells of Genesis assets are also interchangeable with this augmented-reality mobile game.